The essence of Modi’s appeal to the voters was that the Congress party, starting from Jawaharlal Nehru’s time, has insulted Indian military heroes. There were grave factual errors in Prime Minister Narendra Modi’s election rally speech last week. Even though he was referring to notes, Modi got the dates, events and people pertaining to 1948 and 1962 wars wrong. 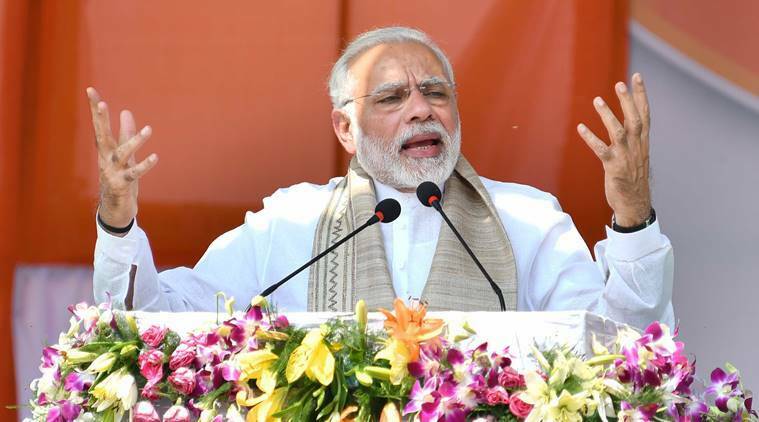 Keeping those gaffes aside, the essence of Modi’s appeal to the voters was that the Congress party, starting from Jawaharlal Nehru’s time, has insulted Indian military heroes. The facts of the matter have been brought out in this paper in great detail, whether they pertain to Field Marshal KM Cariappa or General KS Thimayya. But Modi’s speech should direct our attention to a fundamental issue — independent India’s proud track-record where a conservative military inherited from the colonial rulers never became a major threat to democracy. The obvious reason seems to be the professional British-style military inherited by Nehru which had kept politics out of the organisation and had clearly enunciated lines of civil-military authority. The colonial army was indeed strict about professional norms, where officers never got involved in politics. But the same colonial traditions and similar institutional inheritances did not stop the Pakistan Army from capturing power in 1958 through a coup. The situation was no different in other former British colonies such as Nigeria and Sierra Lone. A very professional military, in fact, can increase the chances of intervention in a weak democracy as the generals can have grave concerns about rising levels of corruption, political conflict, social discontent and poor governance. In his last year as army chief, Cariappa had begun airing his views on policy matters, such as economic development. It was Nehru who advised him to avoid straying into these areas. After his retirement in 1953, Cariappa asked many times for the disbanding of political parties, suspension of parliament until “law and order” had been restored and the suspension of civil liberties. Writing in this paper in 1965, he asked that President’s Rule be imposed for two years “to restore order and proper standards of administration”. A year earlier, Cariappa had argued for the replacement of universal adult franchise with a suffrage that was limited only to literates. He was not alone. General J N Chaudhuri had said in an interview that Ayub Khan’s coup in Pakistan can be explained as an effort to “put things right”. While the initial set of military officers and the inherited British values helped to an extent, scholars are increasingly of the view that the contours of India’s successful civil-military relations were shaped by the broad umbrella politics of the Congress party, which moderated cleavages in society, and the steps taken by Nehru in the first decade after independence to establish new norms and standards. With a few minor hiccups, India has broadly followed the legacy of civil-military relations established by Nehru. One of its foundational tenets has been to avoid making the armed forces a political issue during polls. That compact has weakened in the recent past, whether in the form of a controversial army chief joining a political party soon after retirement, or in the overtly political statements on Kashmir and Northeast from senior army officers, which seem to be aligned more to the ruling party’s ideology rather than to any government policy. But these divergences are nothing compared to the blatant references to army and military history to seek votes during election campaigns. The posters and speeches about surgical strikes during the Uttar Pradesh assembly elections last year were disconcerting, but for the prime minister to draw in some of India’s top military heroes in a controversial manner at an election rally crosses a line. Immediately after taking over as Army Chief in 1949, Cariappa, wrote a letter to all officers where he bluntly stated “Politics in the Army is a poison. Keep off it.” PM Modi can do no better than listen to that warning given by the military hero he so proudly invoked in that election rally. 3 Telescope: Can you spell Yeddyurappa?